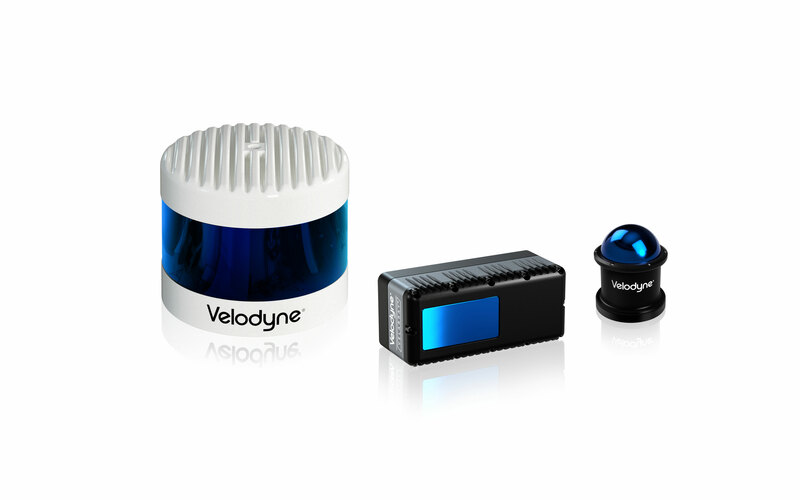 Dr Mircea Gradu, senior vice president for quality and validation at Velodyne LiDAR, sheds some light on the development process of an automotive-grade lidar sensor and explains the role they could play in automotive safety. He will speak about this, and the latest lidar technology, in his presentation ‘Lidar sensors for autonomous vehicles – testing and validation demand’ at the Autonomous Vehicle Test & Development Symposium, which is held at the Autonomous Vehicle Technology Expo in Stuttgart on May 21-23. Tell us more about your presentation. Velodyne is a technological market leader for lidar systems and is also leading the way in safety advocacy, something that our President Marta Hall takes very closely to heart. My presentation will provide an overview of Velodyne’s products and capabilities, it will cover the market segmentation aspects and the corresponding requirements for lidar. I will address testing and validation, from the component level to the overarching system and I will conclude by summarizing the industry initiatives related to standardization. What are the most important testing and validation strategies for lidar? To begin with, we follow the well-established and commonly adopted V-diagram process. 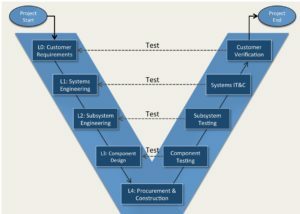 Starting on the top left side of the V, system-level requirements are defined and then refined into subsystems and component-level characteristics toward the bottom of the V. The development process then moves back up the V on the right side, with components, subsystems and systems tested and validated in an iterative, dynamic process. In the case of ADAS, the automotive industry has already defined some relevant tests, with the SAE leading the charge. 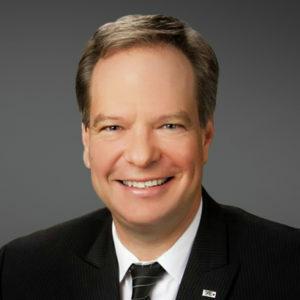 Our CEO David Hall pioneered lidar technology for automated driving more than a decade ago. Since then, the company has benefited from strong cooperation with all the major players in the field of autonomy. This has given us a unique perspective on the various challenges that come with implementing the technology in vehicles. We’ve learnt a lot from real-world customer applications and thanks to our extensive in-house testing capability, we can understand and address the corner cases essential for safe vehicle operation. What is the current status of your lidar technology? Lidar-centric automated vehicle systems present a tremendous opportunity to improve safety. A recent Velodyne white paper concluded that an ADAS system designed around one forward-facing lidar sensor could prevent 90% of the crashes not currently addressed by ADAS technologies. Such an improvement would save thousands of lives and avoid massive spending to address total societal harm. To achieve these and more ambitious goals, performance requirements must firstly be defined at the system level. In other words, defining the ideal behavior of the automated vehicle under various test scenarios is the first step in identifying which sensor technology offers the most significant benefits. Because lidars provide immediate and accurate free space detection, as well as excellent object detection and localization, a driver assistance system designed with a high-performance forward-looking lidar (FLL) sensor could greatly improve vehicle performance and safety. The most effective FLLs should support the widest range of expected road and traffic scenarios. Additionally, they should be capable of high-resolution perception at long range, to allow a wide range of ADAS to operate simultaneously. For this to be possible, the FLL would ideally need to have a field of view of at least 100° horizontally and 30° vertically. The sensor would also need to be able to detect 10% reflective objects at distances of 150-200m, with a resolution of at least 0.20-0.25° in both directions. These parameters are already met by our Velarray product, a directional lidar tailored for automotive and ADAS applications. What are the challenges for lidar technology in the future? As an integral part of SAE level 1-3 autonomy and a step up to true AVs, ADAS face some of the same tests as autonomous technology. 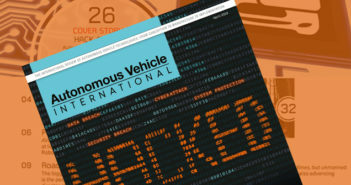 A recent SAE EDGE report, which performs preliminary investigations into new technologies, identified four areas of automated vehicle sensors as ‘unsettled’ domains, due mainly to the lack of common understanding around various aspects pertaining to each of them. Firstly, we have to specify a standardized terminology and taxonomy to use when we discuss AV sensors. Secondly, the industry needs standardized tests and procedures for the verification, simulation, and calibration of automated driving sensors. Thirdly, the security, robustness, and integrity of the data collected by these sensors has to be guaranteed using a standardized set of tools and methods. Finally, we need to have clarity on the ownership and privacy of data collected by AVs. For more information about the Expo and Conference, as well as full conference programs, head to the event website. Expo entry is free of charge, rates apply for conference passes, which give access to all three conferences, the Test & Development, Software & AI and Interior Design & Technology Symposium.